Without goals nothing happens. It is goal motivation that determines our direction. That’s pretty obvious to some, yet amazingly the vast majority of the population does not have any goals or track for their life to follow. Imagine saying to the kids, “Let’s take off and go on a trip.” They jump for joy, pack their bags and tumble into the car. You take your place behind the wheel, start the motor and one of the kids ask excitedly, “Where we goin’ Dad?” You stop and think for a moment. The kids wait in eager anticipation. You think some more and reply… “I don’t know!” Duh! How silly is that? Yet without some idea of where you want to go how do you know which way to head and how do you know when you get there? … As ridiculous as that example is, amazingly millions of people are just like that with their lives. They have no idea what they want or where they want to end up. So guess what? They arrive at old age and exclaim, “What was my life all about?” They had no goal motivation. 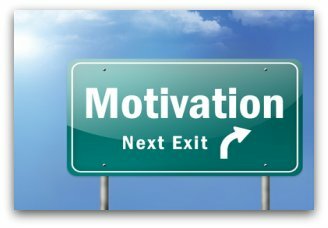 I have had the privilege of working with many elderly people in therapy, commonly many would say, “If only I could have my time over again, there is so much I would loved to have done!” The greatest reason they missed out is simply that they didn’t have any goal motivation to set them on the right road. My mother never walked anywhere, she always ran. People often thought she never had the money for the bus but no, she preferred to run. It wasn’t until the last moments of her life when we talked about all the things that had happened over the years that she revealed her only regret was not taking up competitive running. “I would have been good at that.” she said with tears in her eyes. No one doubted her; she truly would have been a great runner. But she never had a goal and failed to reveal her ambitions to anyone who could have helped or encourage her. She was a wonderful mother but left this world with that precious desire unfulfilled. How sad is that? Dare to dream, to set goals and aspirations to reach for. Imagine the thrill of achieving them. There is within that enthusiasm the power and imagination to make them come true. The great imaginer Walt Disney is a wonderful role model for setting goals. “When you wish upon a star, makes no difference who you are …” He has become a legend through the power of imagination and the motivation it created to drive him forward. Everyone wants something even if it is just to be loved and happy. Do you know what the experience of being loved and happy is like? Please don’t say no. Create your own experience of it in your imagination, make it as compelling as you can and think of what Uncle Walt created from just such a beginning!